Hello there! Eileen Hull's Book Club Collection has made its way into the stores now and there are endless possibilities when using it! It's not just for flowery projects. 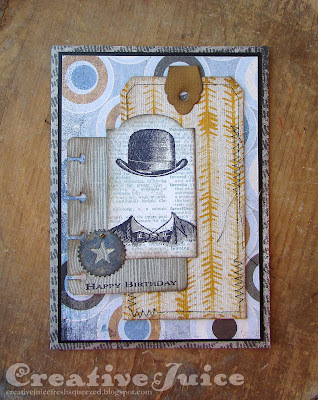 ;-) I made a masculine birthday card for my brother-in-law by layering interesting patterned papers and stamped cuts. 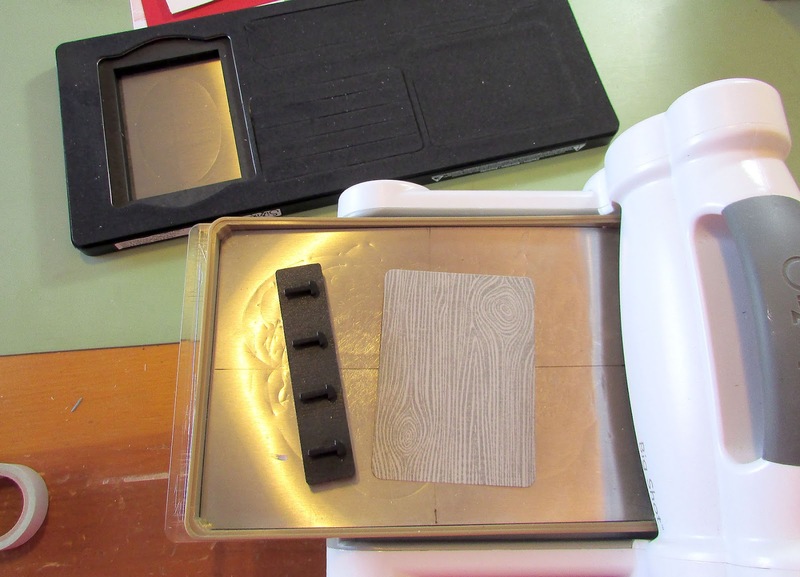 The grey paper stamped with a wood grain pattern is the page part from the Trinket Box die. I cut that first and then used the Movers & Shapers Book Binding die to cut the notches in the edge. You need the Base Tray (what I have) or the Movers & Shapers Shuttle to use this die. Washi tape is easy to remove after cutting. 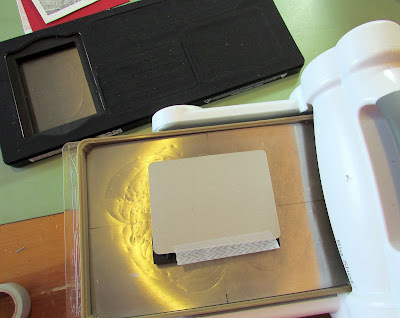 One cutting pad goes under the Base Tray. I positioned the die where I wanted it and used washi tape to make sure the paper didn't shift around. I placed another cutting pad over the top to complete the sandwich and ran it through my Big Shot. Easy! Pop that into the opening when you cut and your paper/board should release easily. You can also use a stack of foam squares, foam core board or even a piece of kitchen sponge as well. 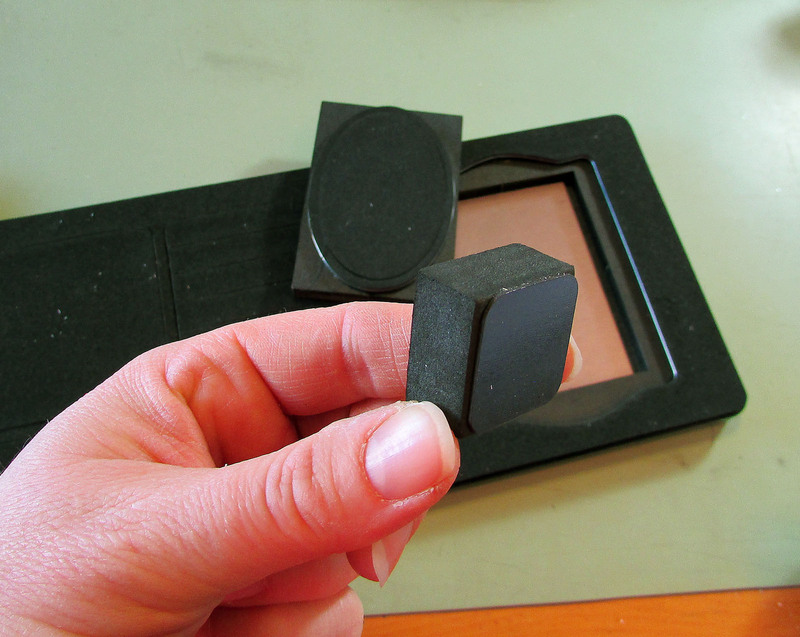 Eileen just did a FaceBook Live today on how to use this die and tips on using the Movers & Shapers part. You can find the video HERE. Keep your eyes on Eileen's blog this month. All month long the Inspiration Team will be showcasing projects made with the collection. There also might be some peeks of the new collection debuting at Creativations in a few weeks. Just saying' ! ;-) Thanks for stopping by and happy New Years! I adore this card! Such a creative use of all the different elements! Gorgeous! Love how you intermingled the pieces together, brilliant use of the dies and the textures and color hues are gorgeous!